If you are searching for a high-quality San Diego sign company, Kanban Signs wants to be at the top of your list! We proudly offer the highest quality signage products and services that can have a big impact on your business. Kanban Signs provides signage solutions suitable for all kinds of businesses. 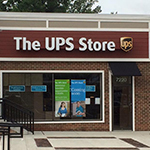 We provide everything you need when it comes to signs, from outdoor signs and storefront signage to indoor signs for wayfinding or customer support, signs that serve as business identification, and signs that facilitate customer service. 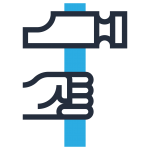 Looking for a high-impact way to extend the reach of your marketing campaigns? 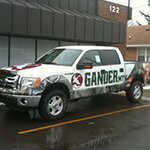 We also offer custom vehicle wraps. 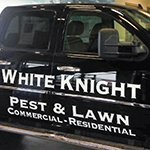 Let us create the right signs for you! Call Kanban Signs today at (619) 503-3634 for a Free Consultation with a signage expert! Kanban Signs operates as a full-service San Diego sign company. We offer a full range of products and services you would expect from a complete and dependable signage company. We not only provide signage products and installation services, we also create sign customizations to make sure the signs you get are the most suitable and impactful for your business. We closely cooperate with our clients to come up with custom designs that match their needs and wants. 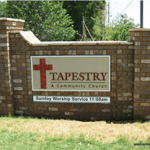 Once you approve the custom sign design we present, we promptly proceed to sign fabrication so you can have your sign installed as soon as possible. Kanban Signs is a local, San Diego, CA based sign manufacturing company, allowing us to produce a large quantity and variety of custom signs and graphics for your business identification and promotional needs. We meticulously oversee all aspects of the sign production process, making sure that everything turns out as desired. We do everything in our sign shop, so you don’t have to go elsewhere to have what you need completed. Our goal at Kanban Signs is not only to provide signs that satisfy our clients, we also want to make sure that our signage solutions yield the expected results. 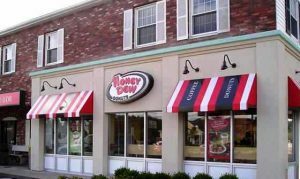 We distinguish ourselves from other sign making companies by always striving to come up with signs that truly work for your business, brand, location, and needs. We have a team of talented and committed signage specialists who have the experience and exceptional proficiency when it comes to signs. Our team are experts in everything related to signs, be it for your company’s branding or imaging, logo, or other purposes aimed at promoting your business. We guarantee signs that look professional and are effective and affordable without looking cheap. If you need signs for customer assistance, we can offer standard ADA signage or can customize signs to your brand or purposes. 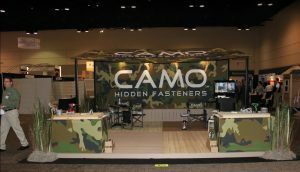 We make more than just signs; our signs leave an impression or capture attention for your brand. If you want your business to stand out to attract discriminating customers in San Diego, don’t hesitate to give us a call at (619) 503-3634. We are well aware of the slight differences in handling signages in different cities. 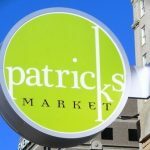 We understand that what works in one city may not work in another, or there may be local limitations regarding what type and size of signage you can place and where. That’s why we see to it that what we are offering is always suitable for your specific business location. This is where our local sign makers create the advantage for us and our clients. We are in touch with what’s hot and trendy in the local signage scene. We see to it that we come up with something original and incomparable to what other local businesses are already using. If you want your business to stand out and boost your brand awareness, you need to make sure you have the right business signage. It’s not just about what you install in your storefront. 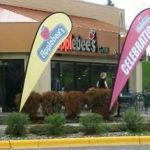 There are other ways business signs create an impact for your business promotion, and these are what we can expertly exploit for your advantage. 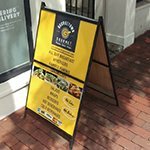 The signs you put up in front of your store and in other outdoor locations to promote your business are easily one of the most important components of your marketing campaign. As such, they need to be high-impact and attractive, in order to grab attention and create an appealing first impression. 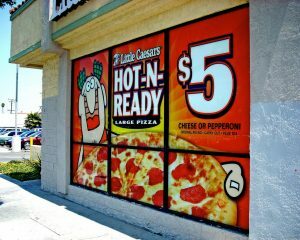 Outdoor and exterior signs likewise need to be relevant to the target audience. They need to deliver the message they ought to convey within the typically short attention span (for advertisements) of most potential customers. That’s why they can’t just be typical and ordinary. Moreover, they have to be durable enough to withstand the elements. Your outdoor signs shouldn’t easily fade within a few weeks or months. Likewise, they shouldn’t be easily toppled by winds. 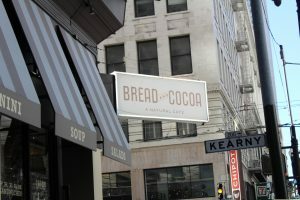 Outdoor signs include roof and awning signs, LED signs in establishment door or storefronts, billboards, standees, illuminated storefront structures, address signs, flags and flaglets, hanging signs, pole signs, panels, vertical signs, window and wall signs, yard signs, as well as monument signs. All of which need to be attention-grabbing, flatteringly representative of your business, and durable. 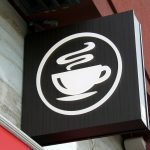 Signs installed indoors or in the interiors of establishments, just like their outdoor counterparts, are important. 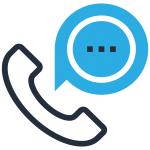 They help promote a business, raise name/brand recall, and more importantly, they can provide customer assistance. Indoor signs can be used to guide customers throughout your facilities. Depending on the type of establishment they are used in, wayfinding signs can assist customers as they look for the powder room or a specific department or office. They can also present short instructions so customers no longer have to fall in line just to ask a simple question. Even better, interior signs can incorporate both promotional and instructional/customer assistance functions. They can bear the logo and slogan of a company while showing directions or instructions at the same time. You can count on Kanban Signs to provide and customize signs that serve all of these needs and more. 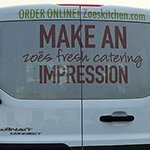 Vehicle wraps are an adhesive vinyl printed using a special ink that can be attached to the surface of a vehicle. 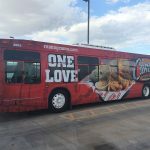 Instead of doing a paint job on a vehicle to display advertisements or signs, we can create a customized, impactful vehicle wrap, which can be removed at any time, typically without damaging your factory paint, if in good condition prior to application. 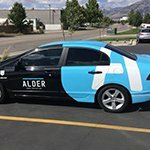 Vehicle graphics are similar to vehicle wraps in that they are stuck on the surface of a vehicle. The difference is that they are usually smaller and used on specific parts of a vehicle, instead of providing full coverage across the entire vehicle. 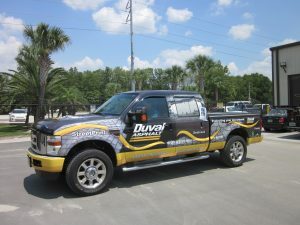 We at Kanban Signs provide custom vehicle wraps and graphics that can be used on any type of vehicle. 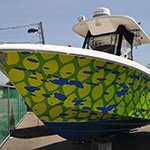 We offer vehicle wraps for vans, trucks, trailers, buses, box trucks, and even boats. 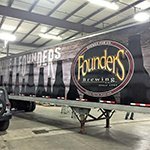 In addition to vehicles, we provide attractive vinyl signs, graphics, and wraps for any business property you may want to use for promotion, including refrigerators, lawnmowers, ATV’s, walls, windows, and more! 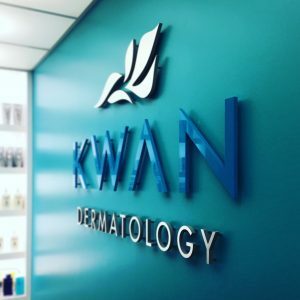 Contact us for a free consultation to learn more about what Kanban Signs can do to help you increase your brand visibility! 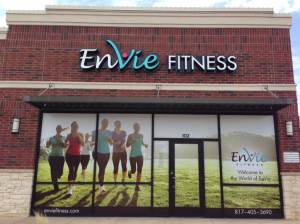 If you want to create a truly distinctive image for your business, custom signs are the way to go. We offer a wide variety of signage styles, types, and materials, which when combined with our creative staff of custom signage experts, allows us to create attractive, branded custom signs that make your business stand out and feature your brand personality and styling. 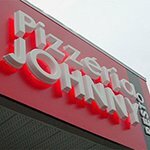 Whether you are looking for channel letters for your storefront designed with your unique logo and font, or a custom wall mural for your restaurant, we ensure that your custom signs are exactly what you want and need. Our experienced and highly talented sign designers are always eager to work with you in conceptualizing, designing, and ultimately crafting the custom signage you are looking for. 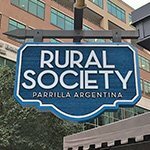 If you don’t have an idea of what you really want, we’ll gladly offer insights and samples of our actual works that may help you decide what your custom sign should look like. 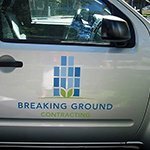 Before we start with any sign project, we offer a free consultation where we discuss your business, location, and signage needs. 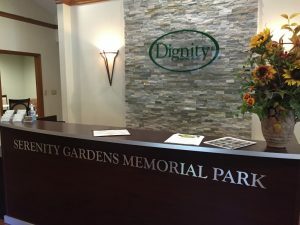 During your consultation, we evaluate your signage needs and provide thoughtful and relevant suggestions to help ensure you are getting both what you want and what you need to make a great impression on potential customers and clients. This discussion is two-sided, meaning that we get inputs from the customer and at the same time we also impart information and insights that can help improve the resulting signage. 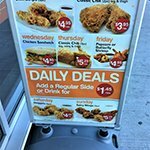 We will also discuss pricing and provide a complete price quote for the business signage you need. Once the details of the signage are agreed upon in the free consultation, we promptly proceed to the designing phase of your project. 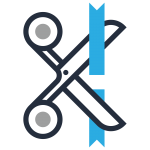 Our on-site graphic designers are experienced and talented in conceptualizing attractive, effective signage for your business and brand. 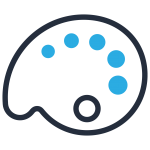 After coming up with a design they are proud of and that fits our agreed upon design parameters, we present it to you for approval, improvement, or revision. We encourage our customers to honestly express their assessment and to do a thorough review of the sample design and any included text to make sure that the final result is something they are truly satisfied with. After a final sign design is approved by you, we immediately go to the sign fabrication stage. 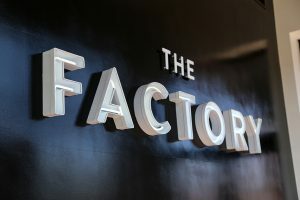 We manage all of our sign manufacturing within our state of the art facilities right here in San Diego. This allows us not only to ensure that your sign is properly produced, as our fabricators can easily clarify any questions they may have with our design team or your consultant, it also means that your sign is produced faster, and with less risk of transport-related damage. We at Kanban Signs are committed to high-quality craftsmanship and production, as well as utilizing environmentally friendly production processes to reduce waste and lessen our environmental footprint. Kanban Signs guarantees that we always deliver top-notch signage solutions at affordable prices. We always strive to complete jobs within your time frame to make sure you get the signage your business needs without delay. We can do the installation of the signs we produce, or can provide installation services for some signs produced by your corporate offices or other sign companies. 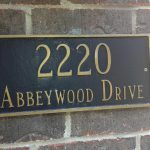 If you want to make sure that your signs are properly, appropriately, and securely installed, you can count on Kanban Signs. We make sure our installations create significant impact in your advertising or business promotion efforts by being attractively installed and finished professionally. We can also take care of permit and compliance requirements if needed for your sign type at your location. 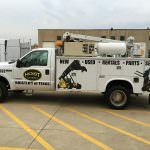 Additionally, we ascertain that electrical connections and other vital parts of our installations are safely and securely put into place. When our sign installation experts complete a job, they ensure not only that everything is working properly and looking great, they also make sure their work area is clean and free of any debris so you can start enjoying your new sign right away. Kanban Signs is completely committed to delivering nothing but the highest quality business signs that are not only durable but also attractive. 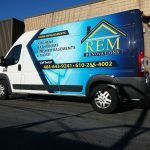 Our years of experience offering creative, innovative, and practical business signs have allowed us to become a top San Diego provider of custom business signs, graphics, and vehicle wraps. 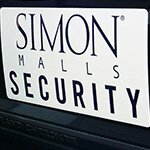 We understand what it takes to have business signs that yield the desired results. We always strive to achieve the highest level of customer satisfaction possible. For us, okay is far from enough. That’s why we are meticulous in every aspect of our signage business. 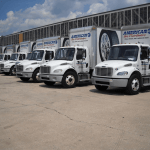 From the design to the manufacturing, installation, maintenance, and repair, we make sure we provide nothing but the highest quality of products and services. We look forward to becoming your San Diego sign company partner! Call Kanban Signs today at (619) 503-3634 for your Free Consultation with a Signs & Graphics expert!